I thought I shared these cupcakes a couple years ago, but it looks like I only posted them over at Shower of Roses along with a few other ideas for the feast of St. Anthony. 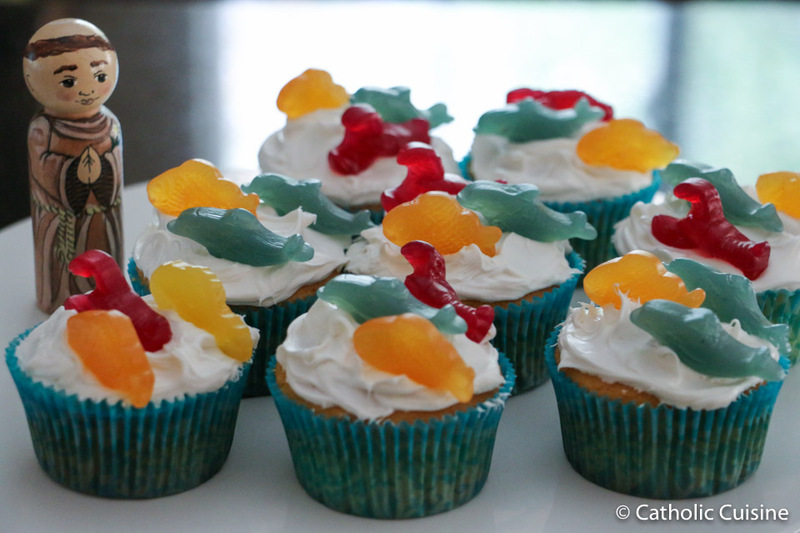 I'm planning to make them again today for the children to enjoy after we read St. Anthony's Sermon to the Fishes by Abraham a Sancta-Clara, an Augustinian monk who lived from 1607–1680. You can find the poem here. These cupcakes are so quick and easy to decorate. 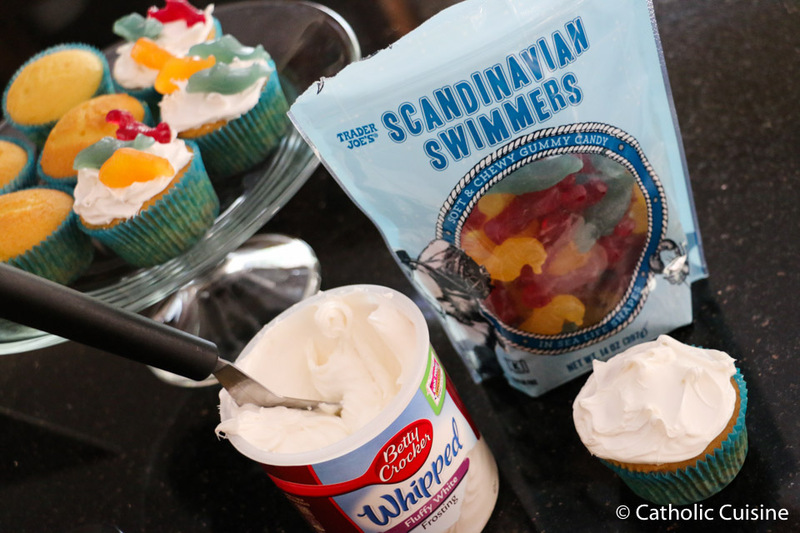 I simply used some Fluffy White frosting and created little peaks on the top of each cupcake so the fish and other sea creatures (I used Scandinavian Swimmers from Trader Joe's) could peak out of the whitewater to listen to St. Anthony's Sermon! 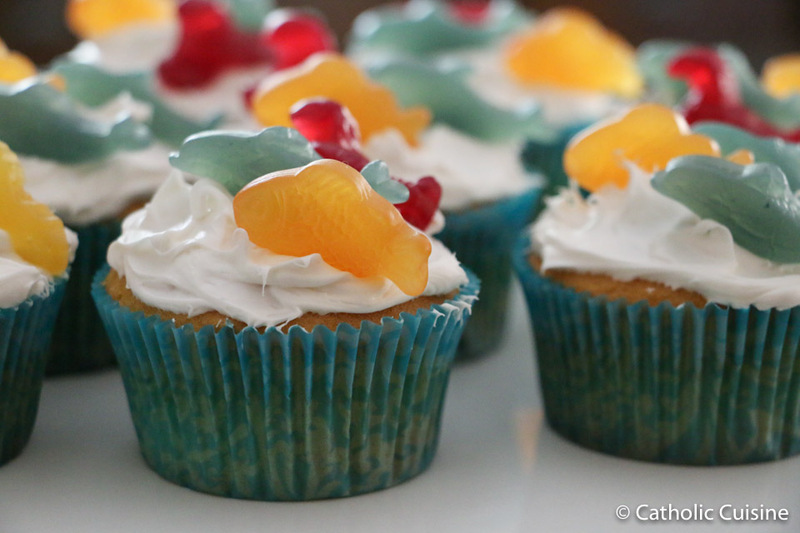 They are a great (and artificial dye free) alternative to the "A Multitude of Fish Cupcakes". St. Anthony of Padua, pray for us! Cute - so very cute.